The AHCA/NCAL Convention & Expo is designed to help you tackle the specific challenges you are facing today. Improving lives by delivering solutions for quality care is the main goal. With over 20 different tracks of learning, you are sure to get exactly what you need and walk away with specific strategies you can implement back home immediately. Browse all the sessions available to you over the four days of convention. From workforce issues to the Requirements of Participation, you'll find the solutions and ideas you seek. 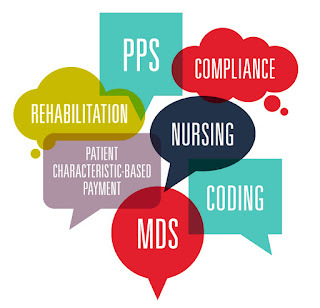 Don’t miss the Sunday, October 7, intensive session on the new Patient-Driven Payment Model (PMPD). AHCA will present a 4-hour intensive session (repeated on Wednesday, October 10) at this year's Convention & Expo that will help you understand what this means for you and how to best prepare. The PDPM intensive will include an in-depth training on the PDPM payment system. Especially important is that a member tool kit will be introduced that will contain the core competencies framework as well as a readiness review tool that will help you track your operational readiness for PDPM. The intensive will also cover data gathered from 12 companies testing impacts of PDPM and provide hospital and discharge pattern data that could be helpful in member markets. This session is reserved for long term and post-acute care providers only. Register today and save! The early bird registration deadline in July 20.